The Sprawl Repair Manual presents a comprehensive methodology for transforming sprawl developments into human-scale, sustainable communities. 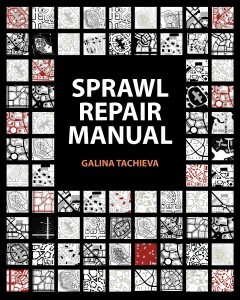 In this richly illustrated book, Galina Tachieva draws on more than two decades of experience to provide a step-by-step process of design, regulatory, and implementation techniques for reurbanizing and rebalancing suburbia. Her solutions will inspire and equip anyone looking to reimagine suburban development. The Sprawl Repair Manual is so far the only complete physical planning manual for handling the impending transformation of suburbia into vital human communities. It is not only hugely instructive but formidably inspirational.